Lakota West High School opened in the fall of 1997. It is one of two high schools, grades 10 through 12, in the Lakota Local School District. 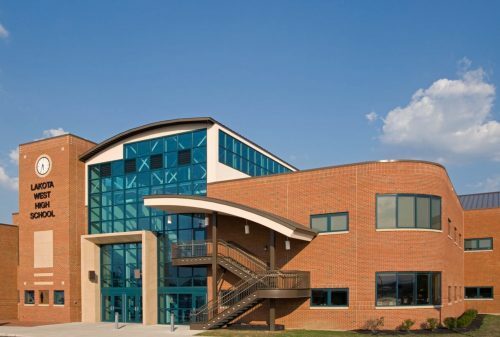 Located twenty miles north of Cincinnati in West Chester and Liberty Townships, Lakota is the 8th largest school system in the state with a student population of more than 18,000. The enrollment at Lakota West is approximately 2,000. We pride ourselves on offering a wide range of quality instrumental experiences, with the concert program at the core. It is the belief of the entire music faculty that a well-rounded education, including challenging musical experiences, encourages a lifelong love of music, as well as responsibility and growth in character that continues into other aspects of the students’ lives. 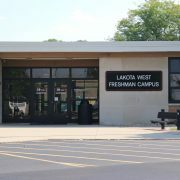 Lakota Plains Junior School and Lakota Ridge Junior School are the two schools that feed into the Lakota West Freshman School. Directors teach two or three seventh and two eighth grade bands, with these bands meeting five days per week. Both schools offer after-school jazz band programs for eighth graders and second-semester and seventh graders. Near the end of their eighth grade year, students may audition for the Marching Firebirds. Lakota West Freshman School has has two concert bands and a jazz ensemble that meet daily during school hours. All ensembles perform in fall, winter and spring concerts. In addition, many freshmen are members of the Marching Firebirds. Freshmen, however, who are not members of the Marching Firebirds as well as 8th graders, participate in Lakota West Band Day at a fall football game — an experience during which they get to perform alongside the Marching Firebirds. In addition, the Jazz Ensemble and Jazz Combo meet daily during school hours. The Marching Firebirds, consisting of about 250 members, is a grades 9 – 12 extracurricular opportunity meeting for rehearsal three days per week. Marching Firebirds also participate in band camp during the summer, and home football games and marching band competitions in the fall. Pep Band and Pit Orchestra are offered seasonally as after-school experiences. Symphonic Winds has received straight superiors in OMEA class AA Large Group Contest in all years of participation. The Symphonic Bands and Concert Band have also earned superior ratings at OMEA district and state adjudicated events. In 2006, all four bands earned superior ratings at OMEA state contest for the first time, a state record. January 2015 Tournament of Roses Parade in Pasadena, California. December 2017 Disney World, Orlando, Florida. Jazz Ensemble received a superior rating at the inaugural OMEA state jazz contest in 2003. It was also one of just ten high school groups in the nation invited to the 2003 North Texas Jazz Festival. The group also performed at the Ohio Music Education Association (OMEA) convention in 2005 and at the Tri-C JazzFest in Cleveland, Ohio, in 2007. Bands in the jazz program participate in competitions throughout the region, host an annual Jazz Swing Dance, and perform at the annual Jazz ‘n Cakes fundraiser. We encourage private study and participation in honors groups. In a typical year, more than 10 Lakota West instrumentalists are placed in All-State honor groups (band, jazz band, and orchestra). More than 95% of our students participate in the annual OMEA Solo and Ensemble Contest. Many leading Lakota West student musicians participate in the Cincinnati Youth Wind Ensemble and Cincinnati Symphony Youth Orchestra, and in 2016 senior flute play Faith Ann Santucci will perform with NAfME’s National Honor Band. Our band program is supported in part by the parent booster group, The Upbeat Club, and by the Lakota Board of Education.